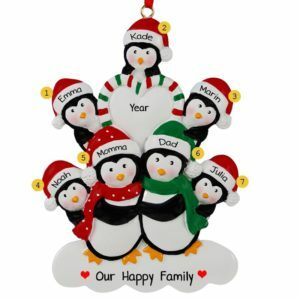 Browse our unique selection of Family or Group of Seven Christmas ornaments! 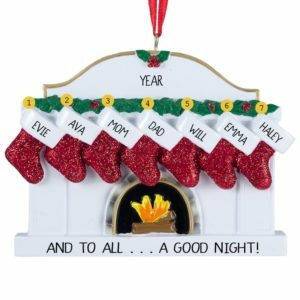 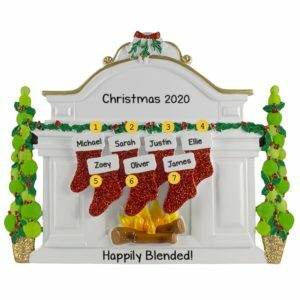 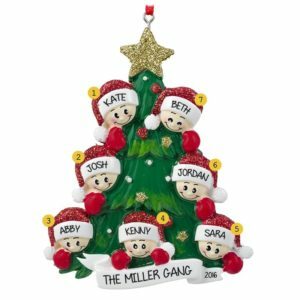 Deck the halls with a personalized Christmas ornament featuring a family or group of nine people for an extra dose of holiday cheer! 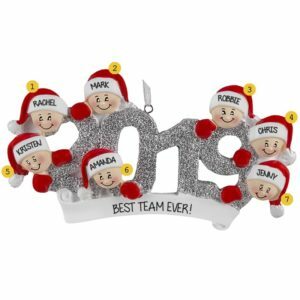 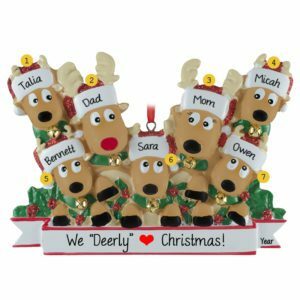 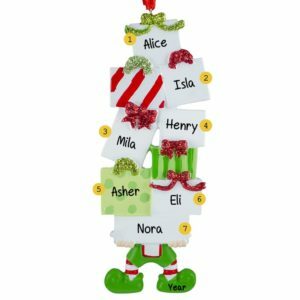 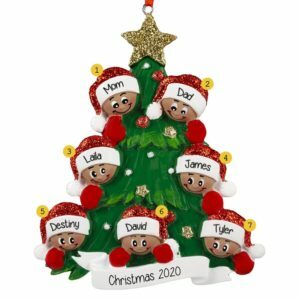 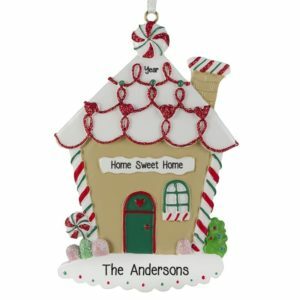 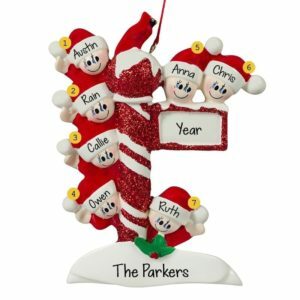 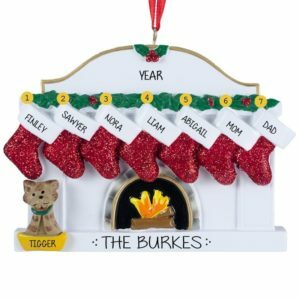 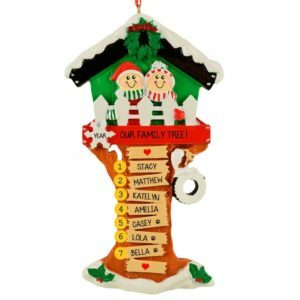 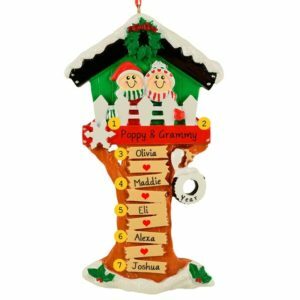 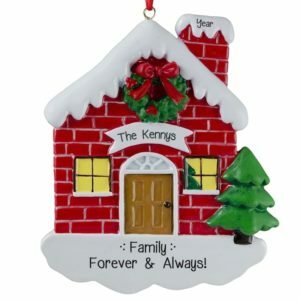 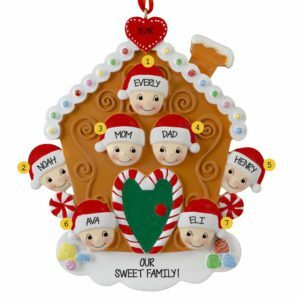 Check out our huge selection of group personalized ornaments to find the ones that are just right for a family, a team, co-workers, friends or any group of people that have a special place in your life this season. 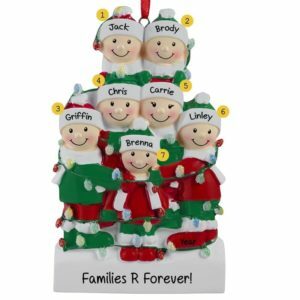 Pay tribute to a special group in your life such as 7 best friends, 7 co-workers, Mom and Dad and 5 kids, 7 grandchildren, seven member book club, 7 cousins or any group of seven. 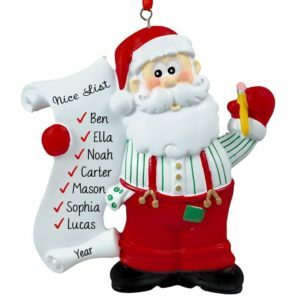 Our customized holiday gift idea for 7 people will be artfully hand personalized by one of our talented writers. 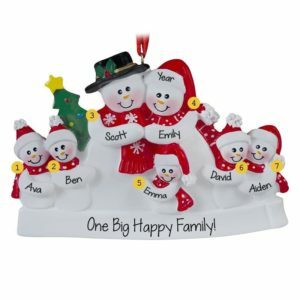 Our most popular themes like snowball fights, big stack of presents glass decoration or heads peeking over glittered heart are sure to be a hit with the lucky recipient.